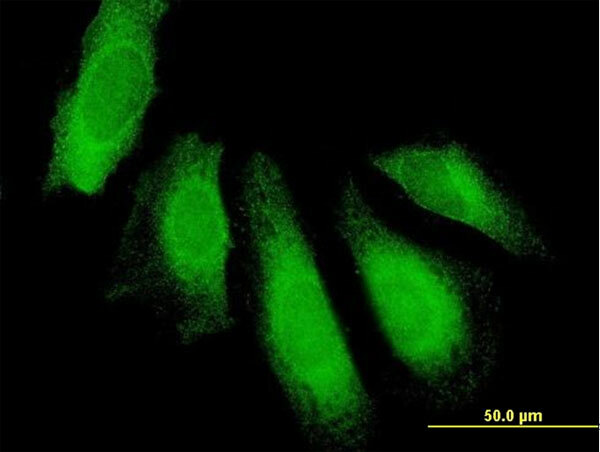 UBAP1 MaxPab polyclonal antibody. Western Blot analysis of UBAP1 expression in human placenta. Western Blot analysis of UBAP1 expression in transfected 293T cell line (H00051271-T01) by UBAP1 MaxPab polyclonal antibody.Lane 1: UBAP1 transfected lysate(55.22 KDa).Lane 2: Non-transfected lysate. Western blot analysis of UBAP1 Antibody (N-term) (AP18235PU-N) in mouse cerebellum tissue lysates (35ug/lane). UBAP1 (arrow) was detected using the purified Pab.